These spectacular ceiling drapes create an elegant romantic feel and can transform any venue. They come complete with fairy lights and centre chandelier, for a soft subtle lighting effect. Star cloths are the ideal backing for a band, or disco to help make all their unsightly but necessary equipment fade into the background. 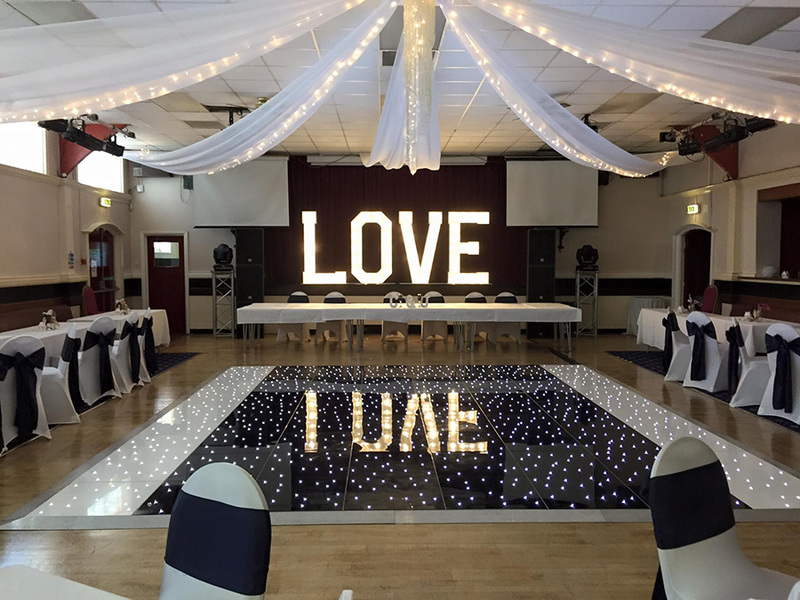 These free-standing 6mx3m backdrops are also ideal for themed weddings.